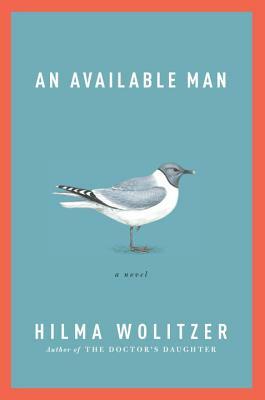 In this tender and funny novel, award-winning author Hilma Wolitzer mines the unpredictable fallout of suddenly becoming single later in life, and the chaos and joys of falling in love the second time around. When Edward Schuyler, a modest and bookish sixty-two-year-old science teacher, is widowed, he finds himself ambushed by female attention. There are plenty of unattached women around, but a healthy, handsome, available man is a rare and desirable creature. Edward receives phone calls from widows seeking love, or at least lunch, while well-meaning friends try to set him up at dinner parties. Even an attractive married neighbor offers herself to him. The problem is that Edward doesn’t feel available. He’s still mourning his beloved wife, Bee, and prefers solitude and the familiar routine of work, gardening, and bird-watching. But then his stepchildren surprise him by placing a personal ad in The New York Review of Books on his behalf. Soon the letters flood in, and Edward is torn between his loyalty to Bee’s memory and his growing longing for connection. Gradually, reluctantly, he begins dating (“dating after death,” as one correspondent puts it), and his encounters are variously startling, comical, and sad. Just when Edward thinks he has the game figured out, a chance meeting proves that love always arrives when it’s least expected. With wit, warmth, and a keen understanding of the heart, An Available Man explores aspects of loneliness and togetherness, and the difference in the options open to men and women of a certain age. Most of all, the novel celebrates the endurance of love, and its thrilling capacity to bloom anew. Hilma Wolitzer is the author of several novels, including" Summer Reading, The Doctor's Daughter, Hearts, Ending, " and "Tunnel of Love, "as well as a nonfiction book, "The Company of Writers." She is a recipient of Guggenheim and NEA fellowships, an Award in Literature from the American Academy of Arts and Letters, and the Barnes & Noble Writer for Writers Award. She has taught writing at the University of Iowa, New York University, and Columbia University.